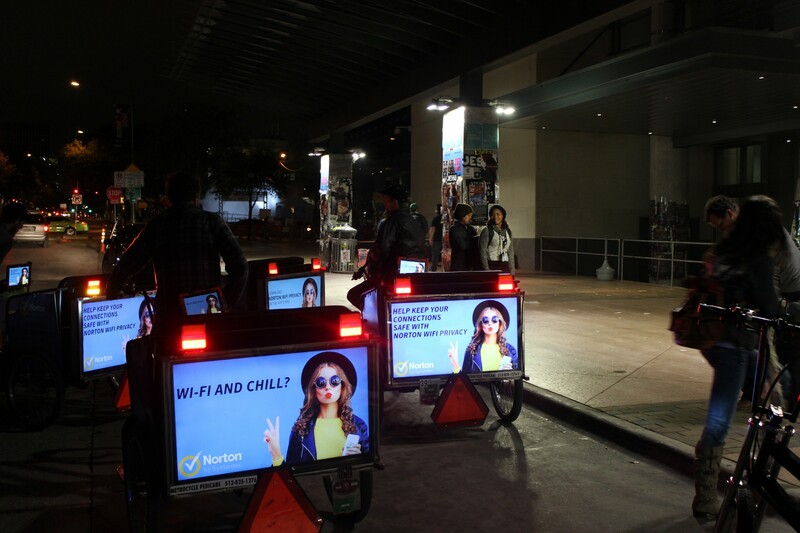 Ads For The Road offers Austin pedicab advertising on Austin’s largest pedicab fleets. 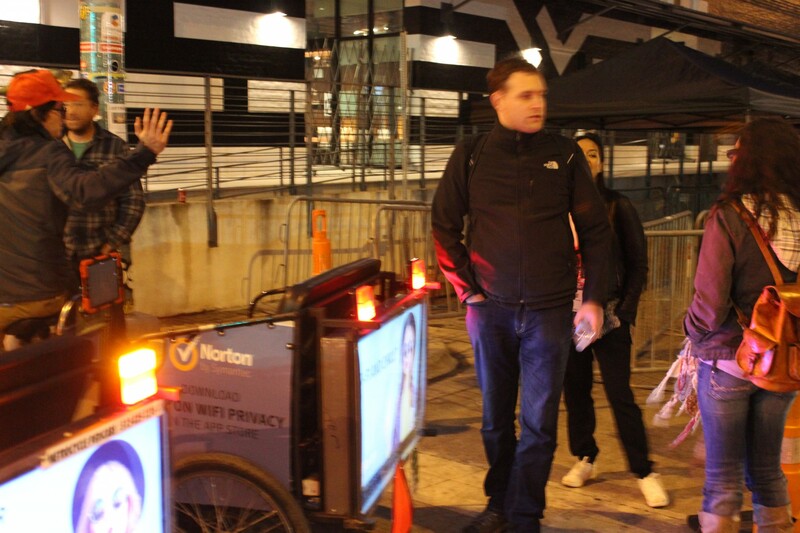 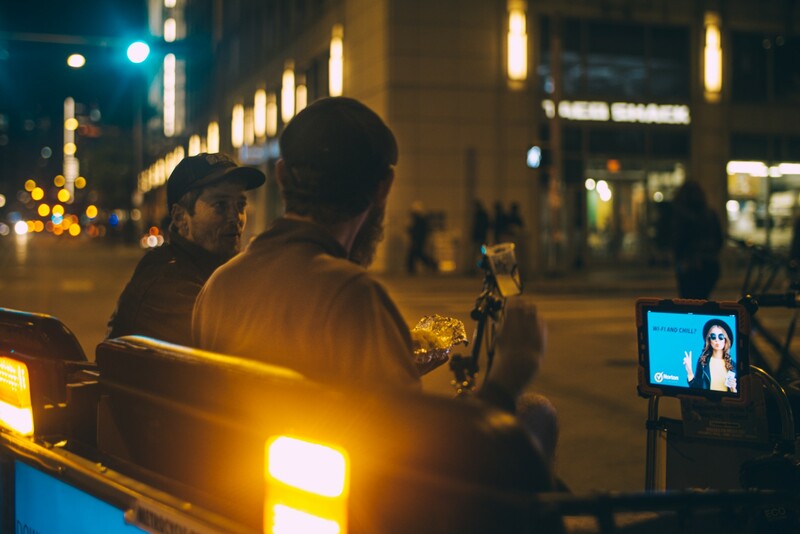 Pedicabs reach areas that traditional advertisements only dream of going by having access inside of events, on the street and in the crowds. 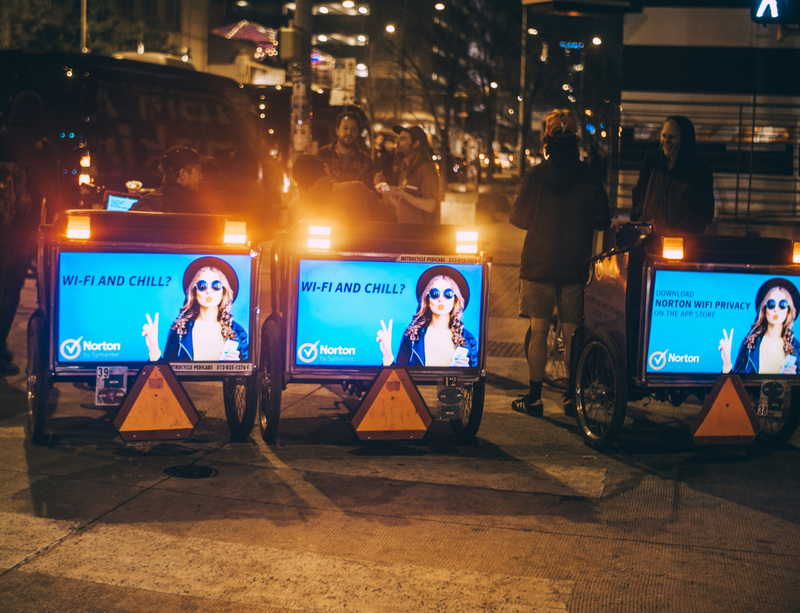 Campaigns can target an active audience with disposable income in Austin’s entertainment district. 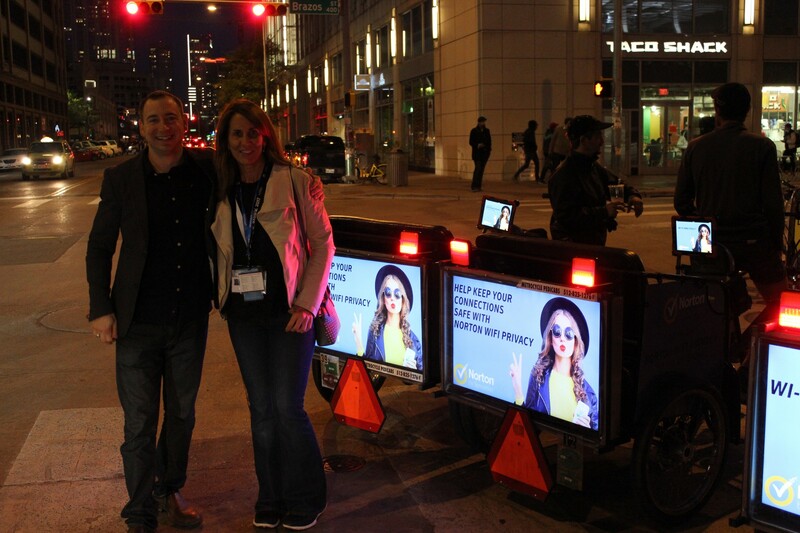 No cost for production or materials for Smart Billboards and Smart Passenger displays.